ST. LOUIS (June 26, 2015) – The Boys & Girls Clubs of Greater St. Louis is proud to announce its 2015 Alumni Hall of Honor Inductees! 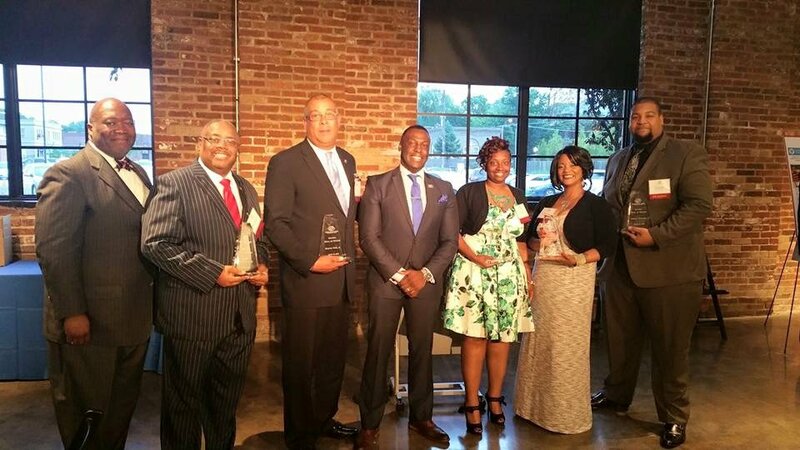 During the 2015 Annual Recognition Program, where staff, board members, volunteers and other supporters are acknowledged and celebrated for their commitment to our Club children, Te’Ara Barnum, Bishop Alton Davis, Jr., Jacqueline Johnson, Jamaal Phillips and Marvin Teer, Jr. were inducted into the Boys & Girls Clubs of Greater St. Louis Alumni Hall of Honor. The Hall of Honor recognizes outstanding alumni for achievements in their respective fields, for contributions to the Club and for living out the mission of the Club. Te’Ara was recognized for her dedication to youth and her contributions to the Boys & Girls Club movement; Bishop Alton Davis, Jr. and Jacqueline Johnson for their commitment to the community and its youth; Jamaal Phillips for his commitment to leadership and for living out the ideals of Boys & Girls Clubs; and, Marvin Teer, Jr. for his commitment to good citizenship and for living out the mission of the Boys & Girls Club movement. Dr. Flint Fowler, Boys & Girls Clubs of Greater St. Louis President, Bishop Alton Davis, Jr., Marvin Teer, Jr., event emcee Andre Hepkins KMOV News Anchor, Te’Ara Barnum, Jacqueline Johnson and Jamaal Phillips.